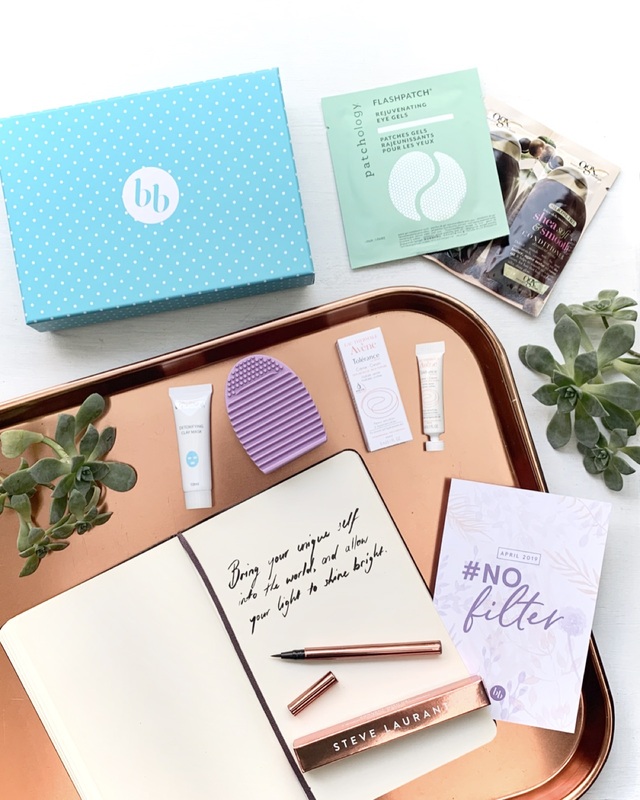 It's all about natural beauty with this month's #nofilter Bellabox. This month from Bellabox I've received over $50 worth of a selection of full-sized and sample sized products that are suitable for an on the go active lifestyle.There's everything for a natural look, from budge proof eyeliner to a detoxifying clay facemask, on the go eye gels to a tool to clean your makeup brushes with. Everything I received this month is perfect for achieving a natural, lit-from-within glow. no matter your beauty style. For those who aren't familiar with Bellabox, each month they send out a themed box which includes 1-2 hero products which everyone receives, 3-4 products which will often vary from subscriber to subscriber and if that's not enough there's a bonus product which is generally a sachet sample perfect for throwing into a gym or overnight bag. Through this subscription beauty box you will discover new or classic health and beauty items. I have on numerous occasions tried products through Bellabox which I now purchase as my of my regular beauty routine because I loved them so much. If you want to treat yourself to a wrapped surprise every month then Bellabox is the way to go. In the 2018 November Bellabox I received a Liptint from Steve Laurant and not only did I love the rose gold packaging of the product I was also loved that the product could be used to create a subtle natural look or something a bit more dramatic and every look in-between. This is how I feel about the Precision Tip Eyeliner, the thin felt tip nib allows for precision lining that caters for a range of looks. Within the beautiful packaging there is a100% cruelty free formula is long lasting and budge-proof. 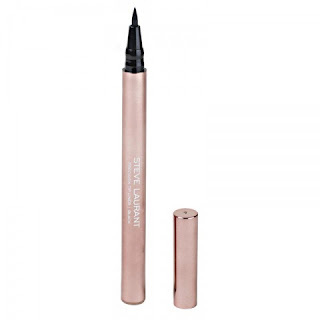 This lush, inky black liquid liner is certainly worth it's weight in rose gold. My first introduction to eye gels was through Bellabox, previously I was very sceptical of the value that they offer and whether or not they work. Now not all eye gels are created equal, but I how I use them is pretty much the same each time. I put on a pair of under-eye masks whilst doing my hair, getting dressed and having a coffee to help create a refreshed look. Which I tend to do when I've an important event or meeting to go and I'm looking tired from either an early morning, minimal sleep, training or competition. The FlashPatch Rejuvenating Eye Gels are a fast fix for tired eyes and are formulated with caffeine and hydrolysed collagen to improve hydration, elasticity, tone and reducing puffiness. 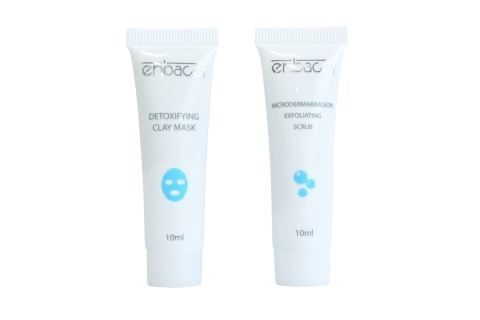 I'm a fan of Enbacci for a few reasons, one is that it is a Melbourne based brand and they have their beautiful store in Prahran, but also that I've never tried a product of theirs that I didn't like. I've used the Detoxifying Clay Mask before, and when I received the sample in my Bellabox this month I was delighted. 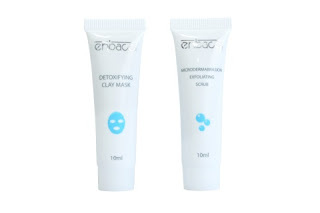 The mask is easy to apply and is suitable for all skin types. When rinsing the mask off after 10-15 minutes my skin felt rejuvenated and hydrated. It's perfect for treating your skin during the cool and dry winter weather. 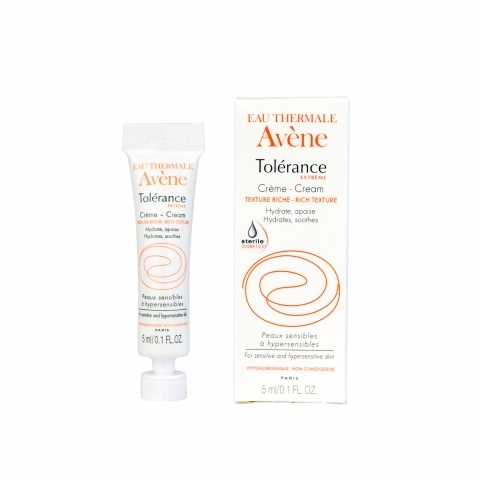 Tolérance Extrême Cream is an hydrating and soothing daily moisturiser with a rich texture that can be applied morning and night to your face and neck. 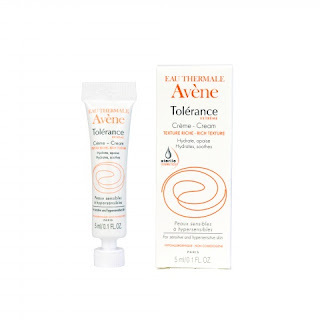 This hydrating cream is free from preservatives, parabens, fragrance and alcohol, making it ideal for anyone with sensitive skin. The formula is protected against bacterial contamination thanks to the patented D.E.F.I packaging, which in itself is pretty cool. This is worry free skincare that actually works. I wash my makeup brushes every fortnight and have been using the palm of my hand to circle the brushes in to clean them. Whilst this isn't a product I would go and buy I'm excited to of received it in this month's Bellabox. It is incredibly easy to use and takes up very little space in the bathroom. To clean your brushes all you need to do is wet your brushes, add a bit of gentle cleanser, and brush them across the egg. The nodules of the Brush Cleansing Egg help to create the perfect lather and the bigger grooves down below remove foam and makeup build-up, without damaging your brushes’ bristles. 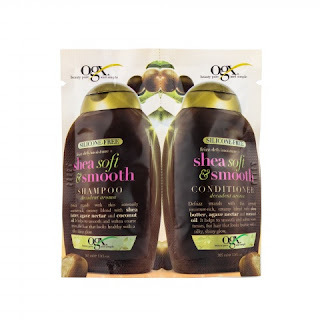 As a bonus product, sachets of OGX Shampoo and Conditioner in Frizz-Defy/Moisture Shea Soft and Smooth is perfect. Its just the right amount to throw into your overnight or gym bag. Formulated with shea butter, agave nectar and coconut oil, Shea Soft and Smooth deeply moistures to smooth and soften coarse strands. To sum up what I think of the April Bellabox in 5 words is... "help you be perfectly you". I can't wait to see what will be in the May Bellabox! Bellabox - RRP: $19.95 ($16.00+ $3.95 Postage and Handling) on a subscription plan, billed monthly, but you can cancel anytime. For $5 off your first women's monthly box subscription use the promo code “NICTATT”. For further information about the contents of the April 2019 Bellabox visit the Bellabox Blog.